I just bought a bottle a few weeks ago and it's nearly gone. I just drink an ounce or two each morning to ward off the morning breath spirits, but clearly I'm doing something wrong. Does anyone else have this problem? I'm not sure if this is a joke, but possibly not, as I remember the time my ex found out you weren't supposed to DRINK Listerine! Hopefully you mean swishing it around and spitting it out, not drinking it. 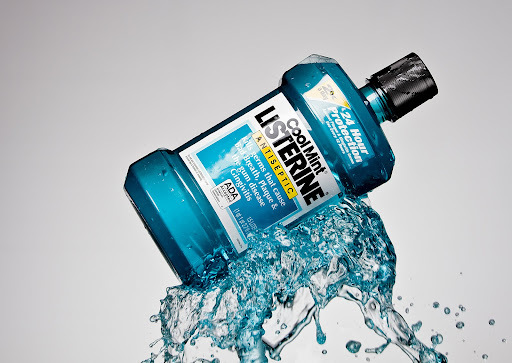 FYI, if you really have been drinking it, Listerine is about 50 proof (alcohol equivalent to Schnapp's, for example). Wait, I shouldn't be drinking it?!! Your taste buds are absorbing it to keep you from getting the DT's. The working's of the human body are fascinating aren't they?